Cookeville Tennessee Workout Anytime is Under New Ownership. 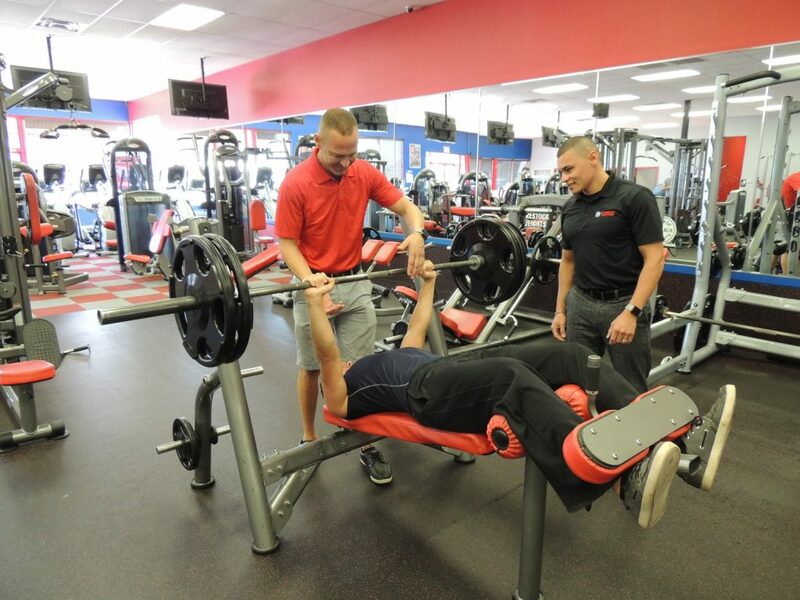 EJ Williams, left, and Jerry Pugh, co-owners of Workout Anytime, helps Devon Borges on the weight bench. Workout Anytime has gone through a lot of changes since it opened in late 2011. The gym has already been through two owners and is on its third. Jerry Pugh and EJ Williams took over operations July 16. In addition to the Cookeville location, he has one in Homestead, Florida, that opened in May and is also working on opening one in Crossville. “I wanted to buy it earlier, but I got involved in my dad’s harvesting business instead,” he said. In addition to helping his dad with his green bean harvesting business, Pugh also has a body shop in Crossville. As a new owner of Workout Anytime, he is looking to update the location by replacing all the cardio equipment and hiring new staff. He or Williams are on site every day as well. “The focus is to continue to expand the fitness options,” he said. For information, visit www.workoutanytime.com/cookeville or find the gym on Facebook. Tanning beds and hydromassage services are also available.